Happy parents, who have two or more children, think about the organization of housing space. Children need to be placed so that they are comfortable and comfortable. The problem of a small living space for a large family is particularly relevant. 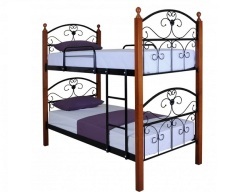 Various solutions for arranging an apartment come to the rescue, one of which is bunk beds for children, allowing you to save living space and at the same time provide a practical and comfortable bed. Manufacturers of children's furniture do not disregard such a sought-after position. Options bunk beds a huge variety. Especially good to buy such a product, as well as others in online stores. Here everything is clearly presented, there is a large selection and reasonable prices. 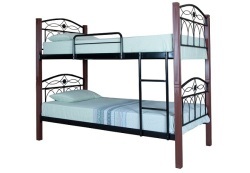 We recommend buying a bunk bed in Ukraine from the suppliers of your city. Making a choice in regional online stores, you get significant benefits. In particular, this is a low delivery price, very often free when ordering from a certain amount, skidding into an apartment, assembling on site with the buyer, consulting, solving all controversial issues. 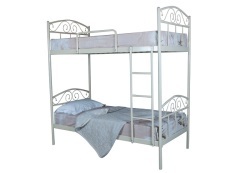 Buying two floors of happiness in the form of a two-tier berth and other furniture in the “Your furniture” online store, you will certainly become our regular customer. This section of our site will allow you to easily determine the choice, a large number of options, suggestions from eight furniture factories in Ukraine and abroad, interesting solutions - all this favors the purchase. 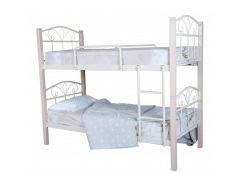 Note that the sale of bunk beds in Kharkov is one of our key areas. This is a fairly popular product in the Ukrainian market, especially among residents of small apartments. 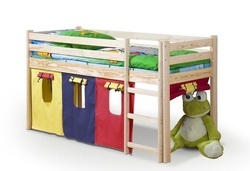 These products are able to withstand a lot of weight, so an adult can sleep on the first floor. This product should be very reliable and safe by its design, so manufacturers think through every detail, leaving a good margin of safety. 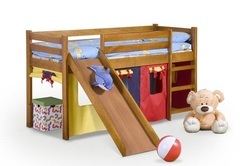 The most demanded bunk beds for children, made of natural wood. Also in good demand are products made of chipboard, MDF and metal. Many designs and colors allows you to choose the best option. Kharkiv online store "Your Furniture" constantly monitors the market trends and updates the range with current innovations. And, of course, children's bunk beds are not ignored, as manufacturers are constantly producing something very interesting for the guys. So here are placed slides for fun entertainment, make decorative accessories in the form of houses, supplement with drawers, tables, cabinets and other useful interior solutions. Each design is unique. 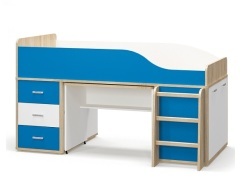 Considering that this furniture performs many functions, saves space, accommodates two children or creates its own corner for one child, the price is more than justified. Increased requirements for safety and reliability also affect the cost. These factors cannot be neglected and it is better to give preference to a quality product from a reliable and bona fide manufacturer. 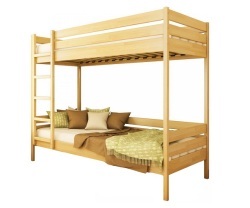 We invite you to buy a bunk bed in Ukraine, using all the advantages of the “Your furniture” online store.